Updated ranch on expansive lot with open space views, just minutes from parks and the foothills! Step inside onto hardwood flooring that extends throughout the main level. Southern exposure fills the large living room with natural light. Roomy kitchen includes full suite of appliances, plenty of counter space, plus a generous bank of cabinets for copious storage. 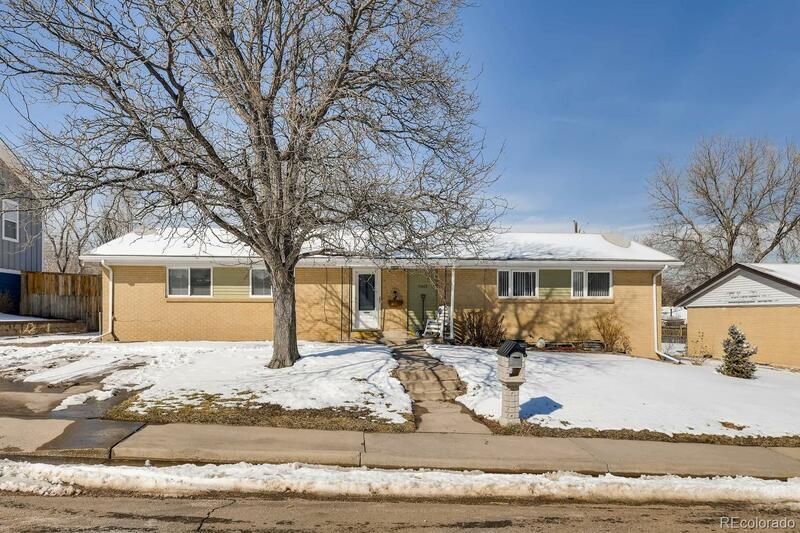 Two bedrooms, an office space, and three updated baths on the main level. Dining room space that works for either formal or casual gatherings. Master suite with his-and-hers closets and jetted tub! Newer paint throughout. Full finished basement offers tons of flex space (including a comfy sectional), ample shelving, plus three more bedrooms and a laundry area. Huge lot with mature trees has patio for grilling in the shade, plus two utility sheds and a children’s play set. A great house for a family that appreciates private space for everyone! MUST SEE!